Compared to common WAMPs SecureWAMP offers some revolutionary benefits. With SecureWAMP users have the choice between developers and production settings, so that it is in contrast to other WAMPs also ideal for web hosting. We have also worked intensely on the usability. 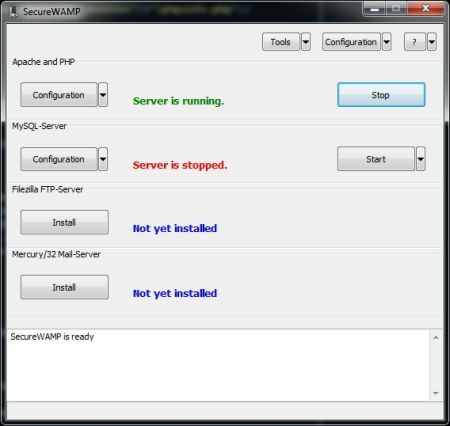 SecureWAMP allows to contral all important settings via a central GUI so you don't have to deal with cryptic configuration files or different interfaces.